No problem Conny, I have a few spare parts lying around. do you still have new ribs for my old ka3? Good to hear from you I just saw your PM, I reply back now, but in a nutshell, I have to check what I have left! So, following our chat, here you go. In black, the "old", in red, the new. 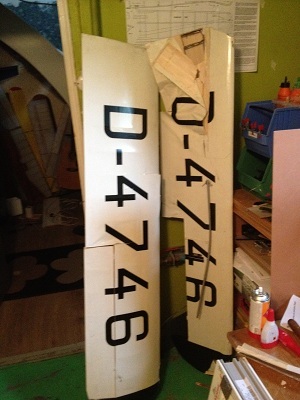 This is the fit on the fuselage. Looks do-able to me with a bit of fiddling, but not too much. So... After ten years and many rounds about this model. It had his way to the junk yard, but it was sold to a friend, then after 8 year I'll toke it back and put in a sleep. 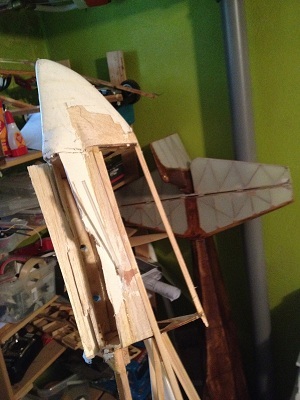 so now after a mounth work it ready to fly.... feels so good.